Marvelous way to extend the activity and teach responsibility! I think I'd have a problem though -my son loves to brush his teeth (almost as much as he loves to eat the playdough). Maybe he's not developmentally ready for this yet! I'll remember it. My sweet boy would love this activity. He loves trucks, play doh, and cleaning! Great idea! @ bethany... you can always skip the toothbrushes! 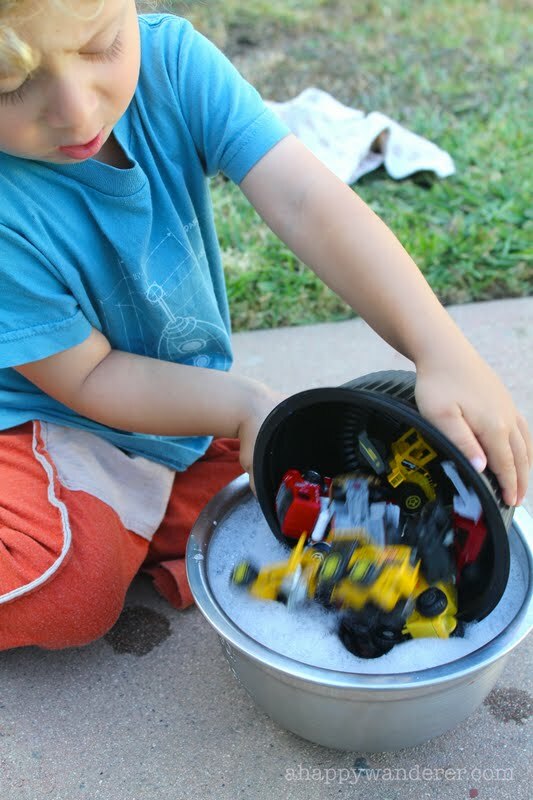 we've done this before even without play dough first... just to explore the water, the suds... and have fun.